San Jose, California – It’s only 11:25 am yet, so the smell of grilled sandwiches hasn’t quite saturated the cold air in this building. I am sitting at Cafe Too, a surprisingly chic space inside of a circa-1892 Romanesque sandstone masterpiece which is also home to the San Jose Museum of Art. The building, one of the lone historical edifices in the surrounding blocks, seems to defy much of what San Jose has become. 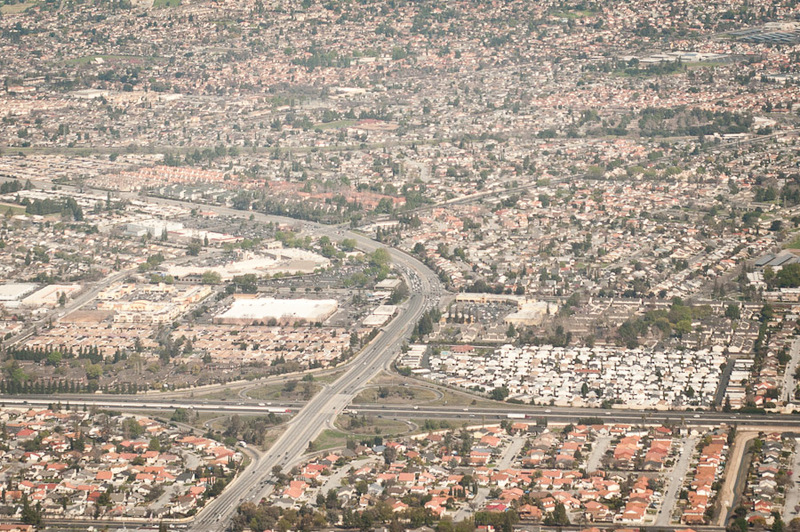 San Jose — billed as the Capital of Silicon Valley — is in the middle of one of the great innovation centers of the modern world to be sure, but when it comes to sustainable development, the city has traditionally been a perfect example of what not to do. Which is one of the reasons why I am meeting today with Hans Larsen, San Jose’s newly appointed Director of Transportation. Hans isn’t new to the job — having served as Acting Director of the department since 2009, and being involved with the city’s transportation planning since 1985 — and he has some rather large plans brewing for the city’s transportation system, and necessarily so; bringing a city that was built for the car into the age of modern eco-friendly transportation is probably one of the most difficult tasks a guy like Hans could think of facing. I sit down on one of the simple leather couches in the cafe and Hans gets right to the point. Hans shows me a few pages from the new San Jose City Master Plan, commenting on the transportation goals and San Jose’s goal of building over 70 walkable, mixed-use urban ‘villages’ within the city. The plan looks nice on paper, I tell Hans. I mean, the goal is great, but what are the challenges in terms of both enforcing it, and actually making it happen? In reply, Hans first points me to some charts showing transportation modal share (the percentage of trips taken using different kinds of transportation). 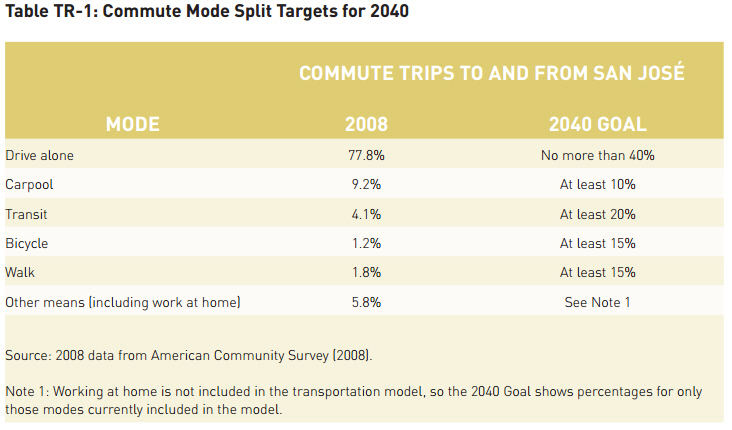 “…on the transportaion side, this is where we are now,” he points to a chart showing how 80% of people drive in cars by themselves to get from place to place. But is the current status quo too far away from the ultimate goal? Hans puts the onus primarily on re-envisioning land use to fit with transportation infrastructure. 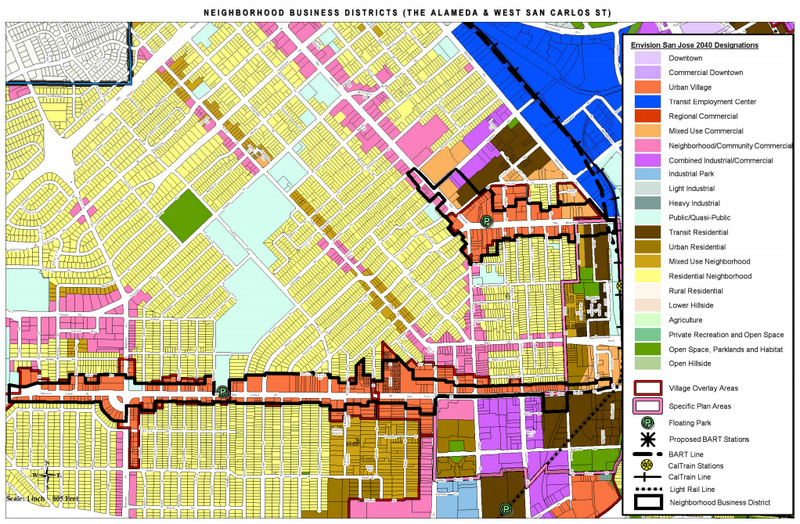 Hans notes that the plan for North San Jose was put together as a 30 year master plan for the area. In this respect, San Jose is in much the same situation as any other American city today. While we may have realized our follies in developing transportation systems based almost solely on the car, our change of heart comes at a poor time economically. Good thing then, that bike infrastructure is cheap. 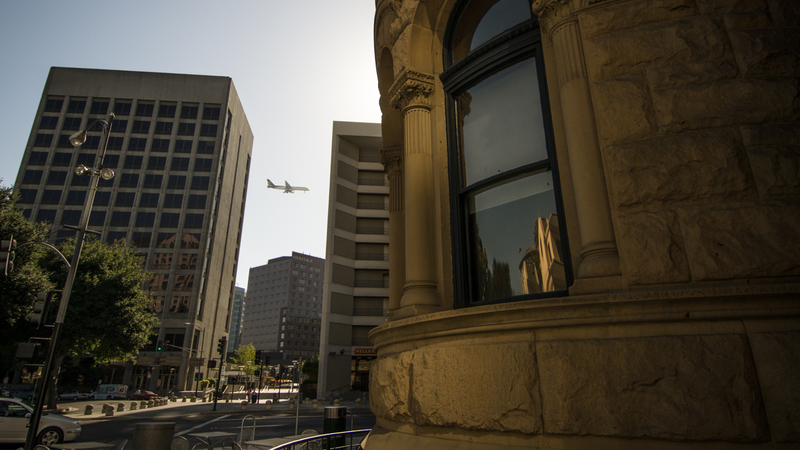 “We’re trying to create downtown San Jose as the ‘urban center’ of Silicon Valley” says Hans Larsen, Director of Transportation for the City of San Jose. I mention to Hans that, if we were to generalize, there are age groups engaged with this issue: the young group, maybe just graduated college, they want the hip, urban environment; then there are those who grew up in the valley with a house, and a car, and you couldn’t pull them out of their cars if you wanted to; they are perfectly happy to have their job, to drive home, and to have their yard. “It probably is,” Hans remarks. But if you’ve been to any major U.S. City with infrastructure built after the 1930s, you’ll know that San Jose is not alone here. In most of these cities, sidewalks, crosswalks, and bike lanes aren’t much more than an afterthought, a technical formality built alongside roads without much thought to where they are going or to what surrounds them. Interestingly, if you take a stroll in a neighborhood that breaks all of the technical rules — no sidewalks, small street widths, no designated street parking — such as the one pictured below in Seoul, South Korea, and people usually will far outnumber vehicles. 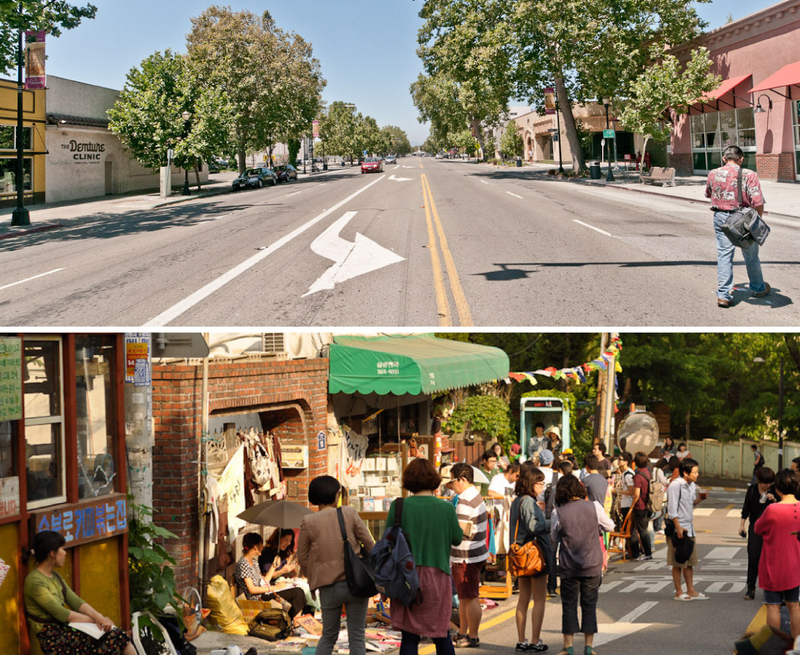 Walk around a “technically-correct” neighborhood in San Jose, California — wide streets with minimum widths, wide sidewalks, setbacks and all — and you’re likely to both feel uncomfortably exposed, and be hugely out-numbered by vehicles. Perhaps we’ve gotten the “rules” all wrong? Along with building a technically-perfect-yet-mis-guided infrastructure, we have essentially removed the ability for our youth and our elders to be self-sufficient in getting themselves around to do very basic things. 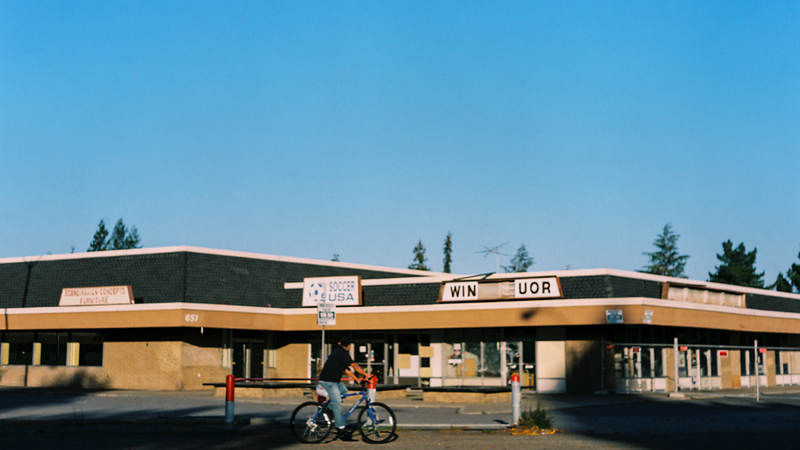 Even though San Jose is laden with a robust system of car oriented strip malls, Hans maintains that these are actually a very important resource that can help in creating a more sustainable, walkable city. I’m curious as to how, exactly, that logic works. “…there are opportunities to build those up,” says Hans. Those words are tremendous, mostly because they signal a 180-degree turn from the city’s planning goals over the past 70+ years. 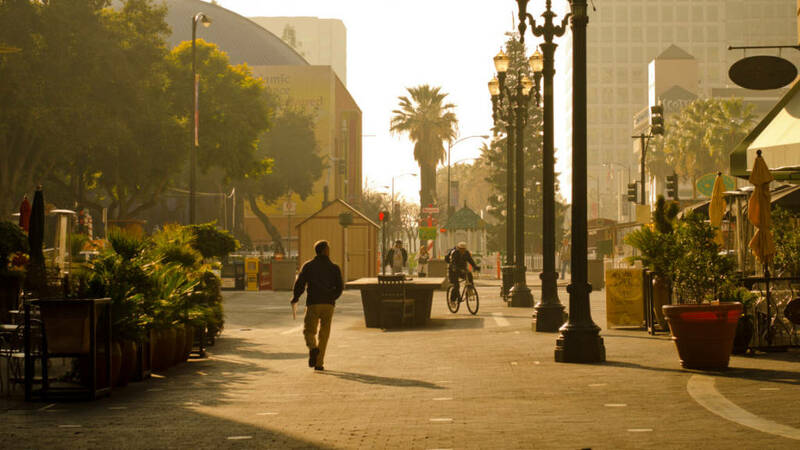 To be sure, Hans and his colleagues at City Hall have played no small part in crafting this plan, yet the driving force behind it can likely be traced to one of the biggest city-wide community input initiatives in San Jose’s history. 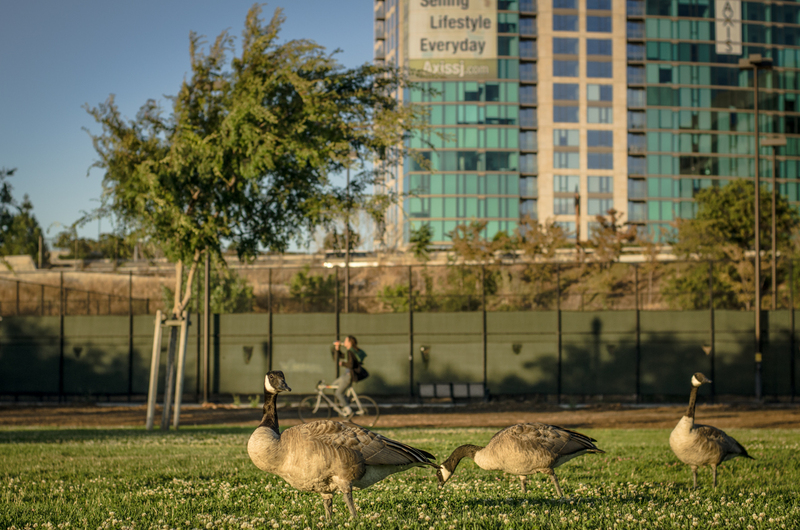 The development of real, walkable “urban villages” is a concept now firmly in place as part of San Jose’s Envision 2040 general plan, an initiative in which more than 5,000 citizens helped the city come up with the most important targets for San Jose’s growth over the next three decades. 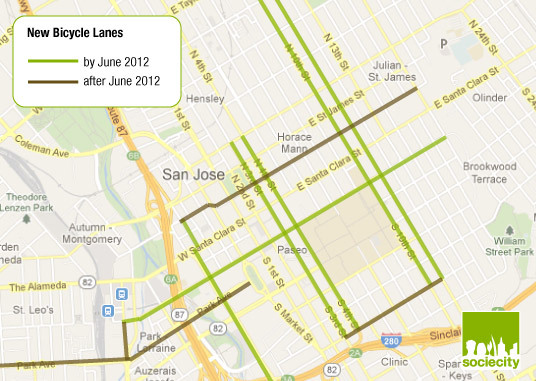 San Jose plans to bring multiple new bike lanes into the Downtown core by the end of the summer, and much of the work won’t cost the city much more than standard street maintenance. It works, as Hans tells me, by grouping bike-lane striping in with maintenance. The city plans to use this tactic to add multiple bicycle lanes city-wide, with the first of the lanes concentrated downtown in preparation for the city’s first bicycle share system, which will be installed later this summer. Continuing our conversation on bicycle infrastructure, I tell Hans that I have some fun stuff for him, too, and present a private stash of bike-infrastructure photos, taken during my visits to various cities including Barcelona, Tokyo, Amsterdam, Seoul, among others. The first photo (shown at right) is of a Tokyo suburb – I use the term ‘suburb’ loosely, as the density of a Tokyo suburb is about on par with the most dense urban areas in the U.S. 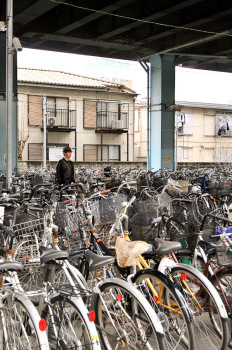 In Tokyo, a city where you’re rarely ever more than several hundred feet from a metro station, bike usage is not tremendous; but, I tell Hans, if you visit the stations a little further out from the city, you have these huge parking lots, not for cars, but for bikes. Looking at the photo, Hans cracks a smile; it is — as he mentions later in our conversation — not something he had witnessed during his visit to Japan. 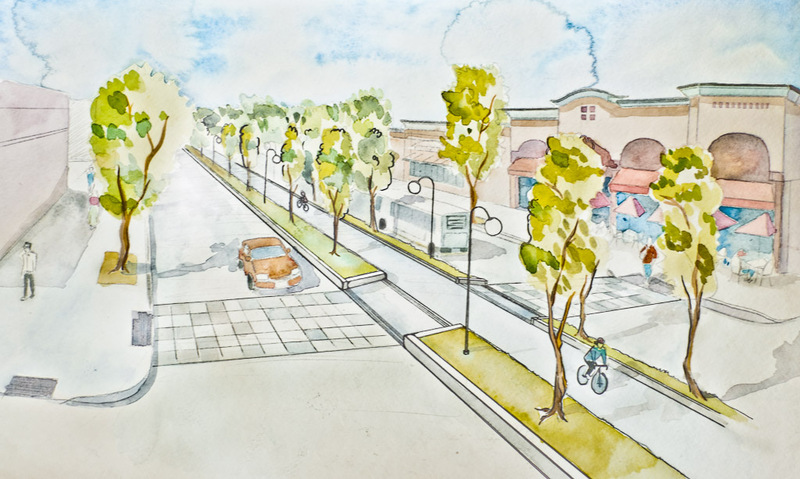 The next photo we look at is a mockup that sociecity produced in 2011 for an article on the Alameda Bicycle Boulevard. I take the opportunity to ask Hans about the feasibility of a center lane that is physically separated and reserved for bikes, walking, and a landscaping buffer. I know that New York has one, Hans responds, and Washington D.C. has one in a small stretch. Hans tell me that the main issue is how to deal with the intersections, and he gives Copenhagen and Amsterdam as examples where individual traffic signals are necessary for the bikes. He also admits that, while San Jose’s goal is to be “one of the nation’s leading bike cities,” the city has lot of catch up to do. We’re very open to looking at trying new things, he adds. The east-west routes would be mostly on city streets, where Hans says they intend to foster a trail-like experience, using both physical separations and colored bike lanes. I ask what issues San Jose has with creating new bike lanes that are physically separated from cars, such as in New York, where some lanes use parked cars as a buffer between bikes and traffic. When we had the downtown bike plan go to council, says Hans, Sam Liccardo [City Councilman] added some direction to actually have us look at that concept, and we do have a few places where we can, like 4th street where we’ve laid out a two-way bike lane buffered by parking, running against San Jose State and City Hall. Generally, however, Hans tells us that most successful bike lanes of this type in other cities were originally one way streets built pre-car with few or no driveways to get in the way. Unfortunately for San Jose, most of the city’s streets were built post-car and are full of driveways and parking lot entrances. The city is planning, however, to look at a separated bike lane option for 4th street along San Jose State University and City Hall, and Park Avenue from Guadalupe River Trail to the Cesar Chavez Park. Hans pulls out a document containing a bicycle network that will be implemented this summer. The plan shows the 3rd/4th street corridors and the 10th/11th street corridors will lose a lane for automobile travel, and each gain two bicycle lanes. These streets are currently main north/south thoroughfares, each with at least 3 lanes of one-way traffic, so it’s an impressive statement to drop an entire lane of car travel for two bike lanes. 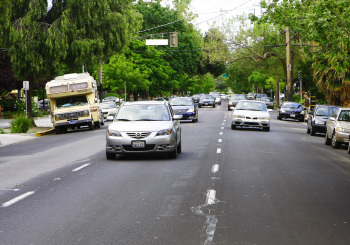 The city is not, however, planning to create a physical separations or buffer zones between bikes and traffic when they re-stripe the streets this June, something both Councilman Liccardo and many other advocates would like to see as a safety mechanism. After these new bicycle lanes are completed in the Downtown area, the city will launch a bicycle share program in the city’s center. The system is the first of its kind in Silicon Valley and will initially comprise about 200 bikes installed in the city core. These projects show a city leadership that is finally making strong efforts to live up to its promise of having a serious bicycle infrastructure… an infrastructure that aims to move a lofty 15% of the city’s traffic on bicycle by 2040, according to the city’s general plan. Hans tells me, that although the city has a lot of good ideas, they have been struggling for a while in terms of not having much money to implement these projects. How about corporate sponsorship, or joint public/private developments, I ask Him, maybe the Adobe Bike Paseo or Specialized Bike Highway? Hans turns his attention to a photo I handed him of Seoul, and asks if it is a dedicated corridor… I explain that it is part of Seoul’s revitalization of the main river running through the city (Han River). The photo shows a four lane bike highway along the river. 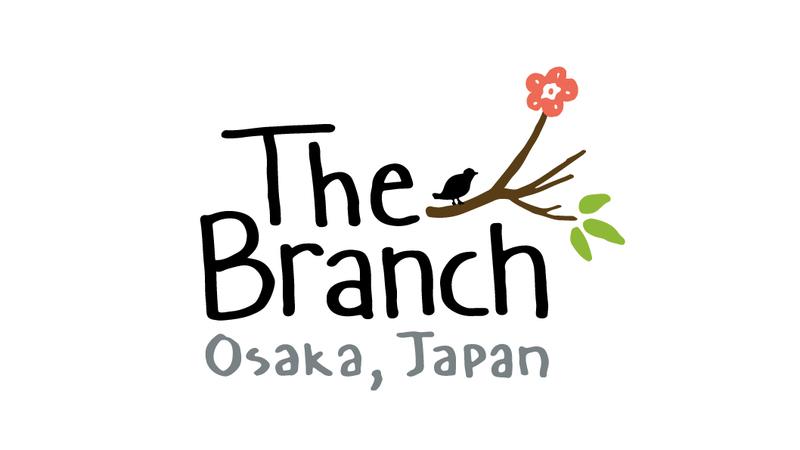 I’ve been to Japan, he continues, but I didn’t really see that much bike use, I guess like you say, it’s not until you get out into the suburbs. That’s the idea, I tell Hans, and even then, you have things like an underground bike parking garage at the shopping center. 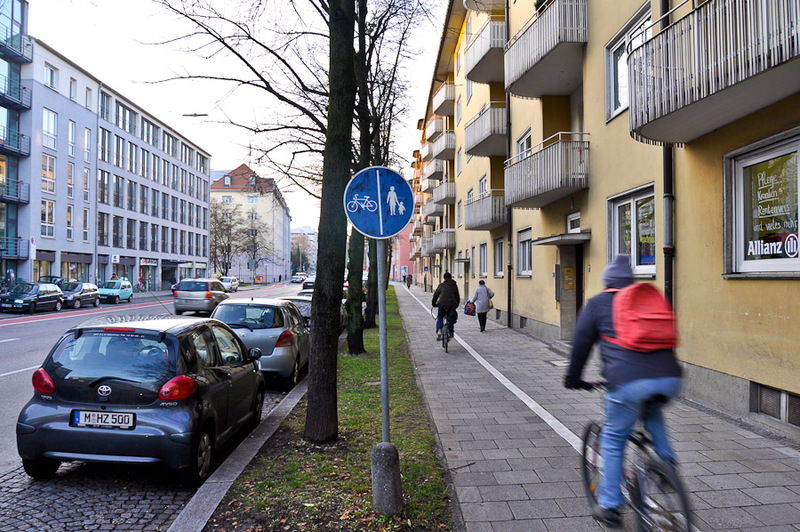 Looking at another photo taken in Germany, Hans says that the city has considered separated bike and pedestrian areas on trails, where, as the trails get congested you have people walking their dog, or the stroller on one side, and people moving faster on bikes on the other side. Hans seems skeptical, however, of whether San Jose will get to the point where pedestrian/bike separation is necessary on the trail system. It would be a nice problem to have, I tell him; we share a nod and smile at the notion. Hans’ main interest in moving San Jose towards these sustainable transportation goals, he says, is that they can be driven largely by building smart around existing transit hubs. 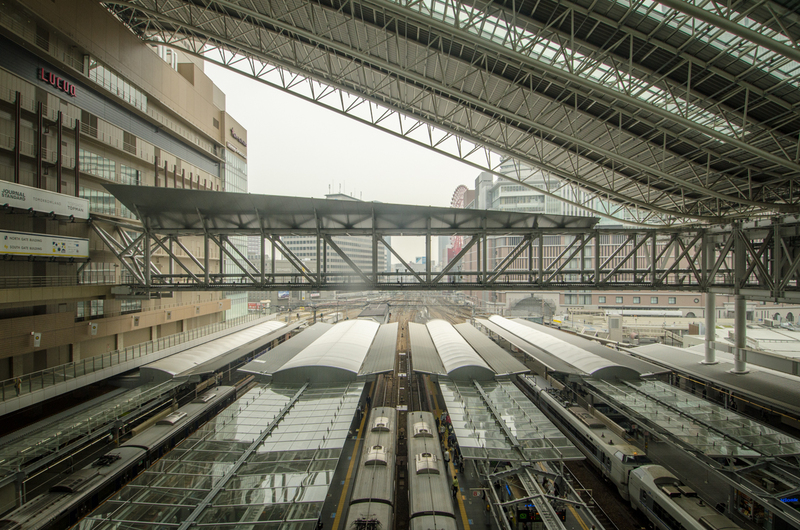 The “station city” concept is popular in Europe and Asia, where is isn’t uncommon to see a dozen stories of shopping, corporate offices, entertainment and housing above, under, and adjacent to main train stations. San Jose certainly isn’t planning for a “Station City” anytime soon — although development in the city’s Diridon Station area might come close — but with a sea of parking lots currently surrounding San Jose’s transit hubs, the city does have many open opportunities to develop smaller, station-centric villages. Hans says that the transit-oriented village is a key goal for the city, and the transit authority is essentially waiting to develop the current parking lot real estate that surrounds light rail stations into higher density shopping and housing — when the right plan comes along. The city’s transit network is good, Hans says, but he also maintains that city land use does not support that system well. It’s clear that there is opportunity to increase and optimize the use of existing mass transit — such as the city’s light rail system, which serves just 30,000 passengers per day — but in order for that to happen, smart, higher-density development needs to happen around the existing stations. After hearing and seeing the work the Hans is doing, I too, am rather optimistic for San Jose. For more on San Jose development news, have a look at the San Jose Department of Transportation Website, or tootle on over to the San Jose Blog. There also seem to be some very passionate people over at SPUR San Jose.